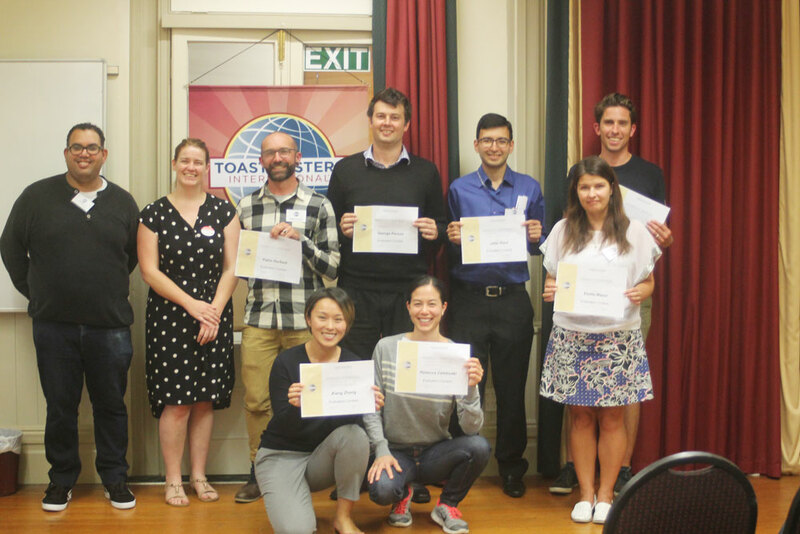 Toast of Broadway Toastmasters club had our annual Humourous speech contest where our members can compete for the privilege of representing our club at the Area speech contest. The contest was run by our newest member Louise. Despite the fact that Louise had never attended a Toastmasters contest before, she ran the entirely thing so smoothly, ... read more. Toast of Broadway had our first two contests for the Toastmasters year. We began our meeting with the Evaluation contest. Contest chair Xiang ran a smooth contest especially considering it was her first time being a contest chair. Our test speaker Ivo provided us with a wonderful speech titled ‘Teamwork makes the dream work’ that ... read more.